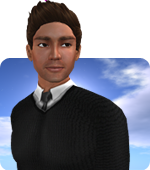 Since its introduction, the Linux version of the Second Life Viewer has been considered a Beta status project, meaning that it might have problems that would not have been considered acceptable on the much more widely used Windows or Mac versions. Because "Linux" isn't really one platform - it's a large (and fluid) number of similar but distinct distributions - doing development, builds, and testing for the Linux version has always been a difficult thing to do and a difficult expense to justify. Today, Linux represents under half of one percent of official Viewer users, and just a little over one percent of users on all viewers. We at Linden Lab need to focus our development efforts on the platforms that will improve the experience of more users. While we hope to be able to continue to distribute a Linux version, from now on we will rely on the open source community for Linux platform support. Linden Lab will integrate open source community contributions to update the Linux platform support, and will build and distribute the resulting viewers, but our development engineering, including bug fixing, will be focused on the platforms more popular among our users. We hope that the community will take up this challenge; anyone interested in ensuring that their fellow Linux users can continue on their preferred platform is encouraged to reach out to us to find out where help is most needed.